What is Meyer & Sage and how did you get started? Meyer & Sage is a chef-driven weekly meal delivery service. We also provide boutique catering services and custom grazing boards. We are in the process of a dual kitchen build-out and will have a storefront with dine-in options, culinary workshops and grab-and-go options in 2019 located in The Foundry District. Meyer & Sage was my husband Allan’s idea! I’ve owned a personal chef service, Linguine & Dirty Martinis, for the past 8 years and Allan brought up the idea that we could expand our services and work with a team of amazing professionally-trained chefs out of a commercial kitchen. What is a Charcuterie Board? 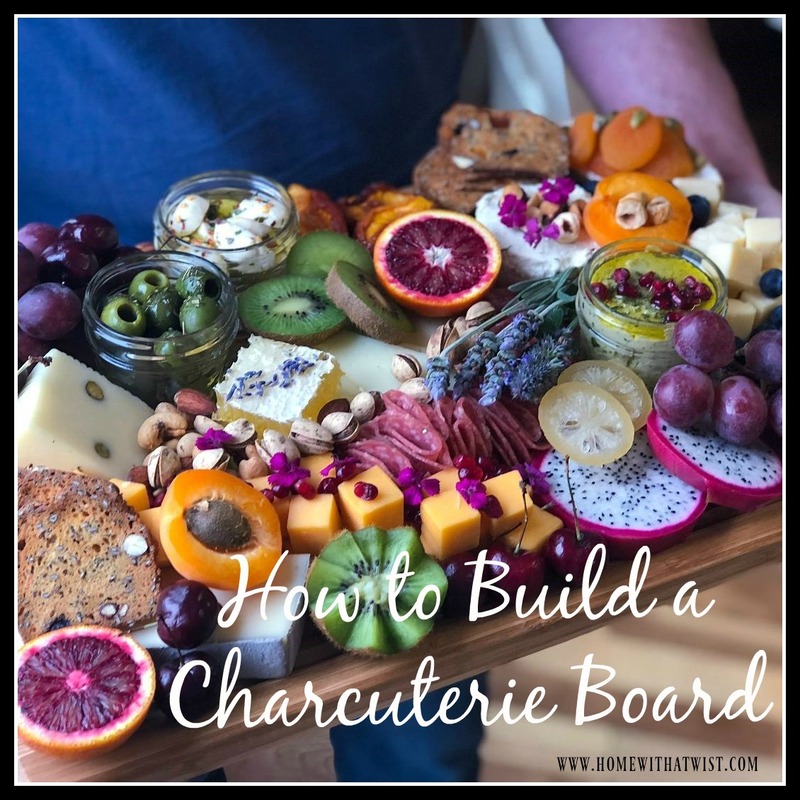 Charcuterie is French for meat—so as long as some type of meat is included, you have a charcuterie board. Easy peasy! What are the essential items that make up a Charcuterie board? Of course, aesthetics are very important, but I also believe texture is crucial for a great board. Crunchy nuts, velvety brie, crumbly bleu, sticky-sugared citrus and chewy dried fruits give the palatte a very intriguing combination. I don’t think any items are essential necessarily, I would just choose items that you enjoy! These are the items I’ve been adding to my custom charcuterie boards this winter: homemade pesto hummus, marinated fresh mozzarella, marinated castelvetrano olives, 4-5 cheeses, salami or prosciutto, rosemary nuts, fresh fruits, dried fruits, candied lemon slices, crackers and edible wildflowers. I usually always include one bleu cheese, a soft ripened cheese such as a brie, a hard aged cheese like manchego, a classic sharp Tillamook cheddar and then a couple fun finds that I switch out. This week, it was a Red Dragon with mustard seed and a very aromatic Truffled Sottocenere with some fennel and clove. 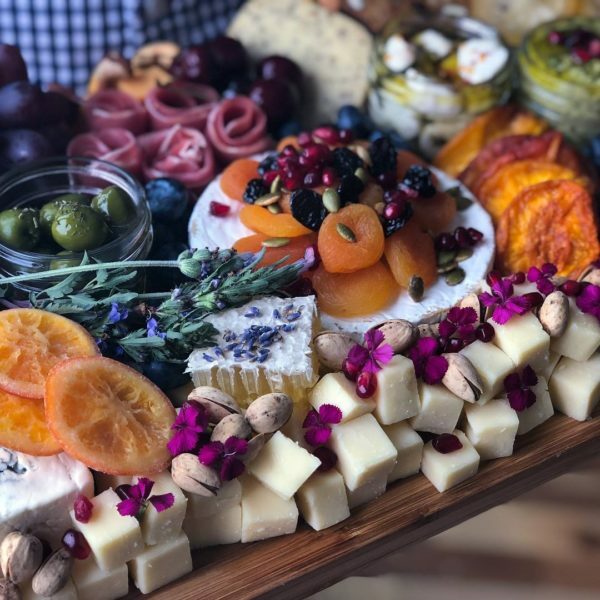 How would you recommend a hostess styling the Charcuterie board — does it always have to be on a wooden board? Are there other ways to present it. 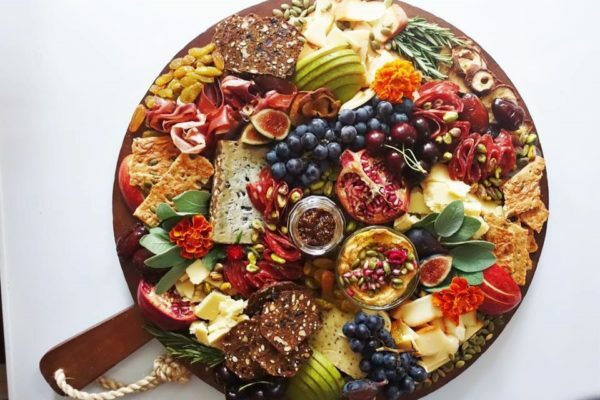 I love the rustic look of wooden boards, but any platter would do. Make sure to lay down cheese papers or doilies and pre crumble or slice cheeses to avoid cheese knives scratching good silver or porcelain. I also love the idea of presenting straight on a wooden butcher block—perhaps my next purchase for our home! What would be a good wine, or cocktail, selection that would best accompany a presentation like this? I would keep it very simple with all the flavors, textures and visual appeal of the board. I would choose a simple grassy & citrus-y white wine such as a sauvignon blanc, an easy drinking red table blend or perhaps a crisp dry rosé in the spring. In terms of cocktails, gin has many herbal and floral notes and would pair nicely with charcuterie board components. 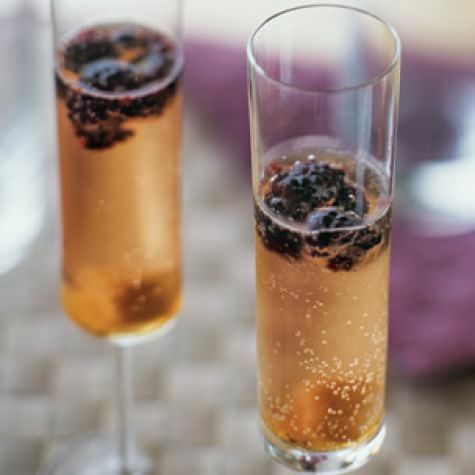 I also love the idea of a classic champagne cocktail with a touch of bitters—that would be lovely with a charcuterie spread as well. People always want just a little something sweet. What’s a good recommendation for the sweet to accompany a Charcuterie board? I always include local honeycomb topped with dried lavender on my charcuterie boards—it’s incredible with aged manchego. I also usually include dried fruit and nut crackers, seasonal fresh fruit and even a bit of dark chocolate for my Valentine’s Week charcuterie boards. What’s the best way for someone to contact you for personal meals or party needs? Email [email protected]. 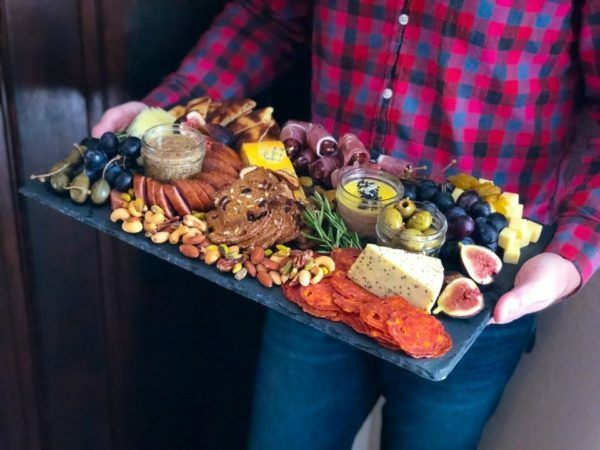 Happy to help and spread charcuterie board love!